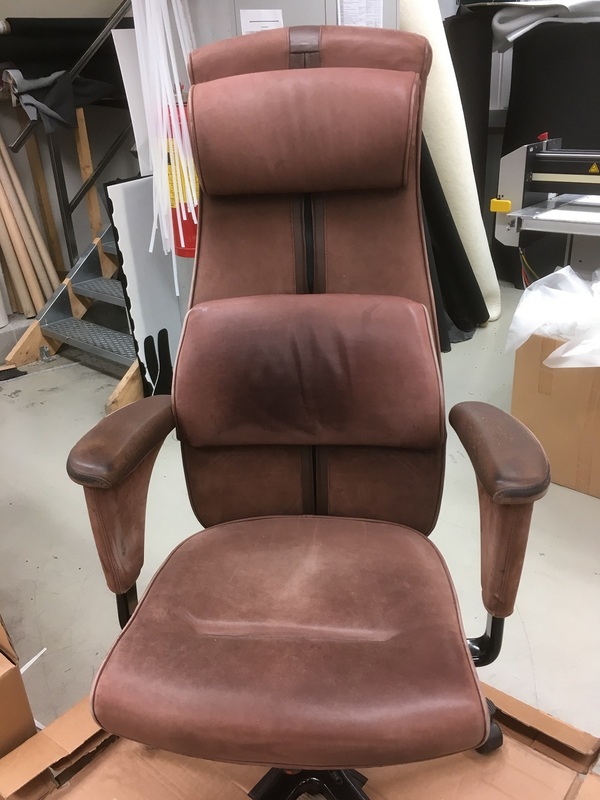 When Flokk were contacted by a long term customer about our refurbishment options, we were impressed to hear about a 20 year old HÅG chair still going strong. 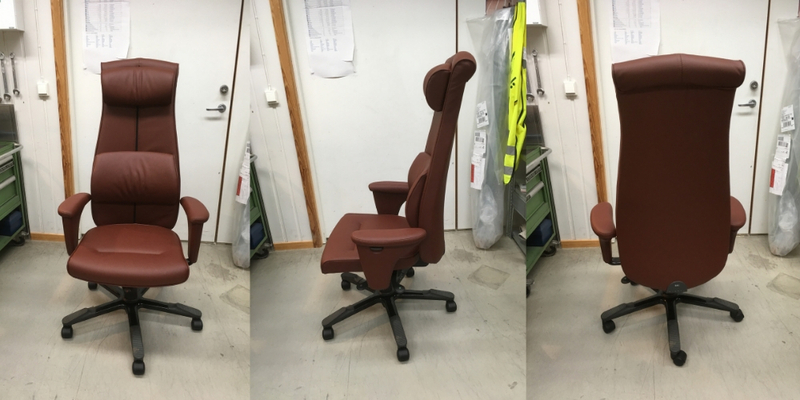 Having gone out of production, and with no standard procedures in place, we challenged our expert production team to give our loyal client's chair a makeover. Launched in 1990, the HÅG Signet (left) executive task chair was discontinued in 2004 - but not before finding many fans around the world. One such fan was Simon Freakley, CEO of Alix Partners, who picked up his model in January 2000. Having well surpassed its initial guarantee period, Mr Freakley contacted Flokk firstly to let us know his trusty HÅG Signet was still in use, but also to find out about refurbishment opportunities. After 28 years of continuous usage, all the mechanisms were still in great condition, but the upholstery was in need of replacing. 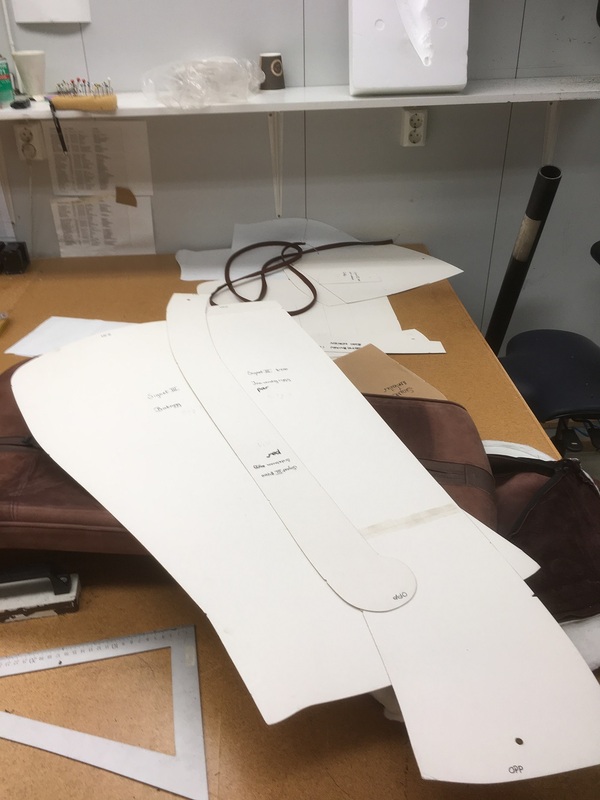 With the HÅG Signet out of production for nearly 15 years, there are no standard refurbishment options available, so we turned to some of our seasoned production staff for help in this matter. Flokk Group Upholstery Manager Geir Bedin and Group Research & Development Manager John Lien between them have nearly 60 years’ experience with HÅG, and both were part of the team during the HÅG Signet production run. Confident they could handle the case, it was agreed the team would dismantle the chair, hand cut new patterns and complete the refurbishment of the veteran chair. 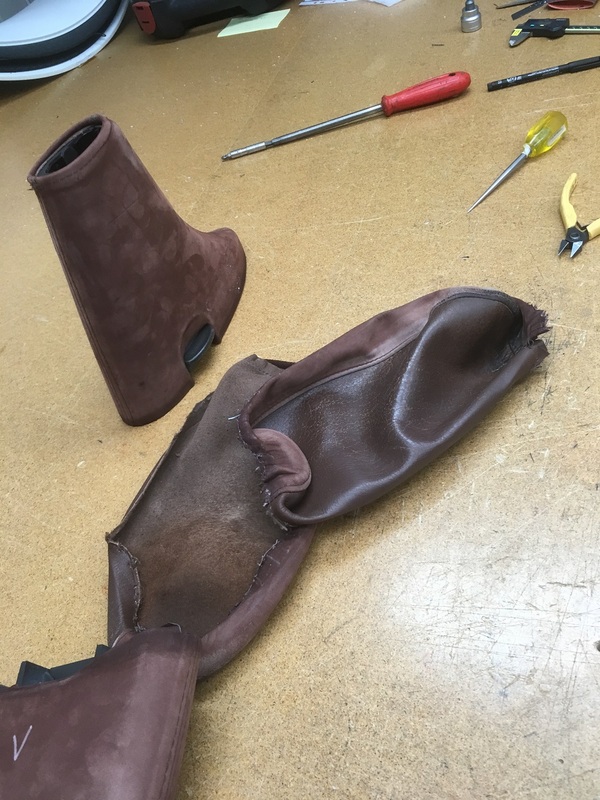 Taking stock of our material options, the team chose a leather as close to the original as we could offer. The old interior padding was reused while the thin comfort layer was replaced by a new one. 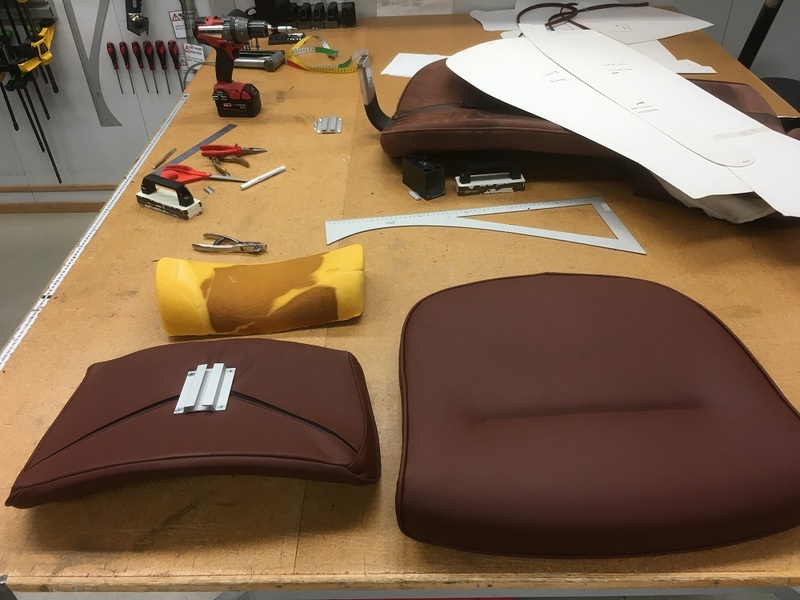 After dismantling, sizing and cutting the required materials, the pieces were stitched together, with the finished chair looking almost as good as new. 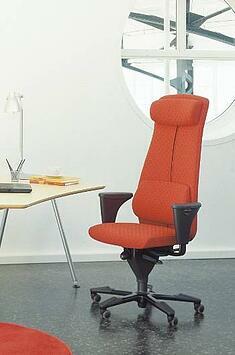 Step 1 - The chair was transported to our factory in Røros, Norway. 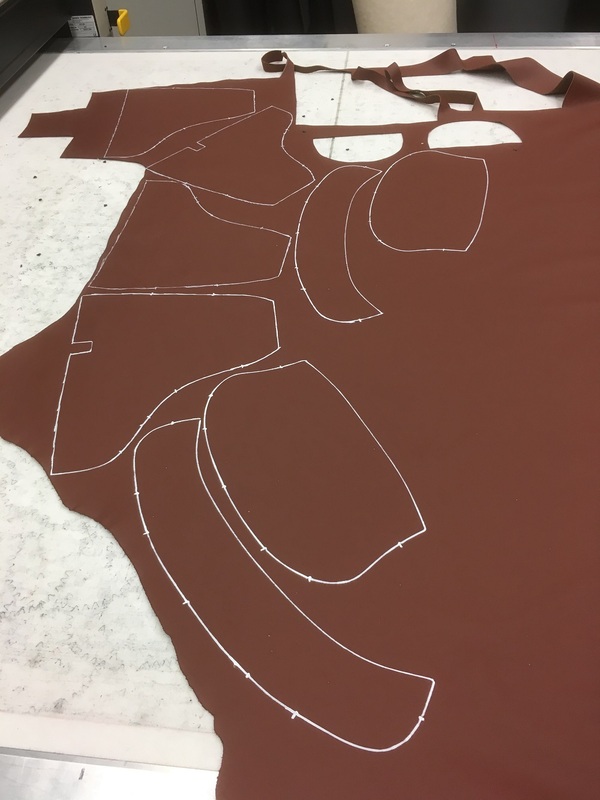 Step 3 - the fabric shapes were drawn out and cut to size. Step 4 - each segment was sewn together ready for attachment. 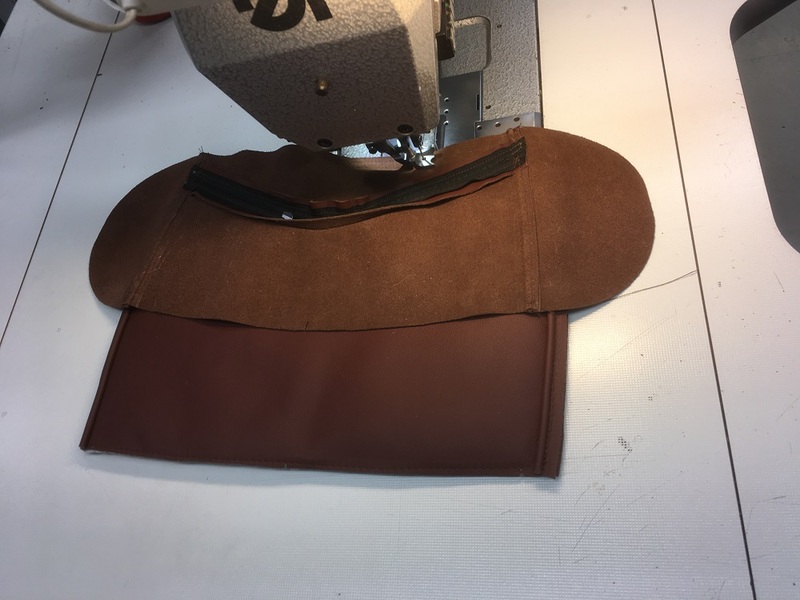 One freshly sewn armrest compared to the old material. The client was absolutely delighted with the work, and continues to use his nearly 20 year old chair to this day. All Flokk products come with lengthy guarantees, and we can offer a range of refurbishment and repair opportunities. Without using glue, most fabric covers are easily removed, making cleaning and replacement a real opportunity. We pride ourselves on our craftsmanship and our commitment to sustainable methods means we endeavour to give our products as long a life as possible. Learn more about Flokk sustainability efforts.